Wholesale loose chocolates. 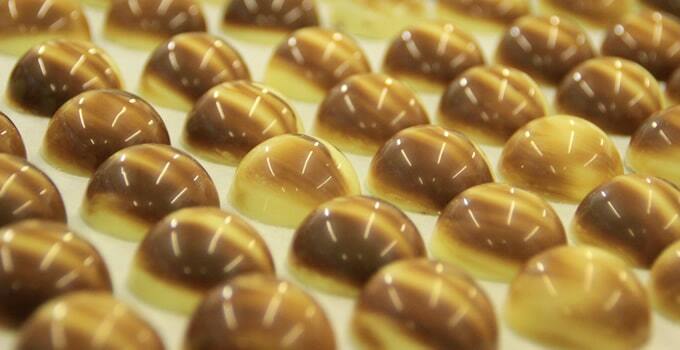 Our 84 chocolate tray of domed ganaches perfect for specialist chocolate counters, delis and farm shops. Also ideal as petit fours for restaurants and hotels.